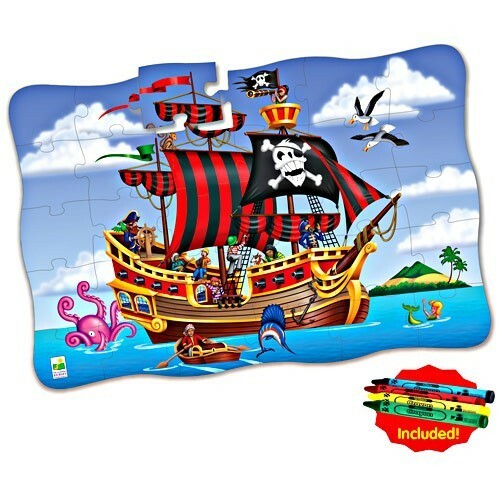 Put together the giant pirate sailing ship or color the pirate ship scenery on another side of this puzzle activity set - pirate fun never stops. 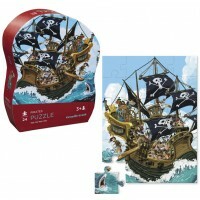 The Giant Pirate Ship Puzzle - Puzzle Doubles means giant fun! 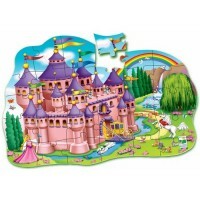 Each 2 x 3 feet Puzzle Double product by the Learning Journey takes the concept of a traditional puzzle to a whole new level Each giant floor puzzle in this series includes a 30 jigsaw pieces, beautifully illustrated floor puzzle. 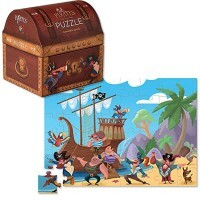 Once the puzzle is completed the fun is just getting started! 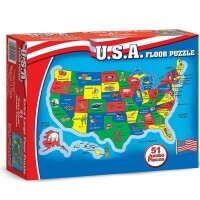 Turn the puzzle over and now it becomes a giant coloring activity! 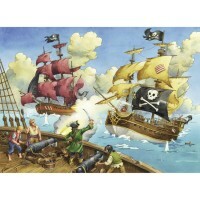 Use the enclosed four write on/wipe off crayons to color your own pirate ship scene. 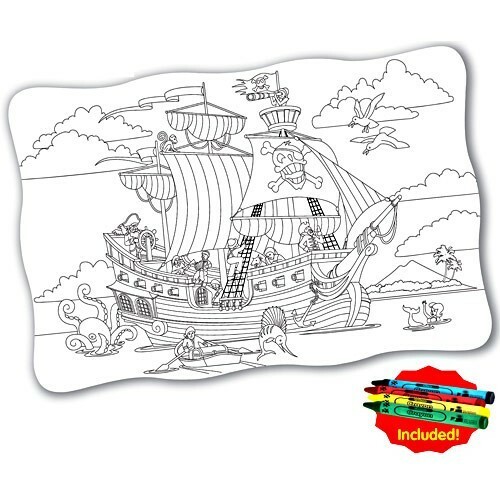 Once complete, you can wipe off the crayons with a dry cloth. 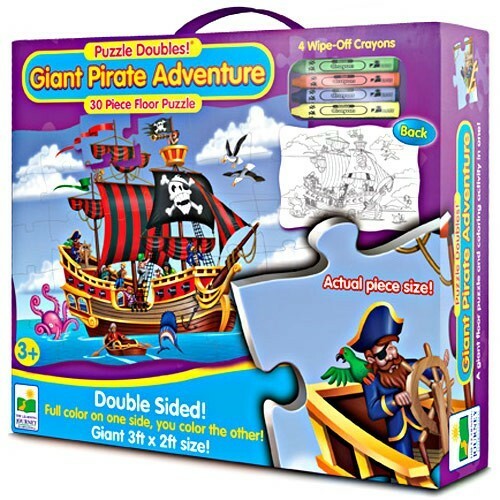 Giant Pirate Ship Puzzle - Puzzle Doubles set provides children with multiple learning activities all combined in one great product! 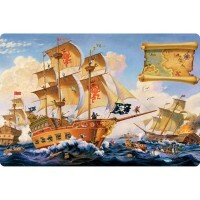 Dimensions of package 0.1" x 0.03" x 0.12"
Write your own review of Giant Pirate Ship Puzzle - Puzzle Doubles. 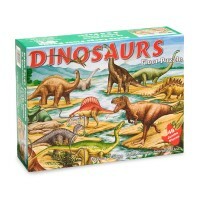 Rating: 5 by Patricia, TX The large pieces are easy to handle. 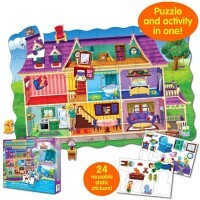 The bright colors make it easy to match the puzzle pieces. Delightful artwork. 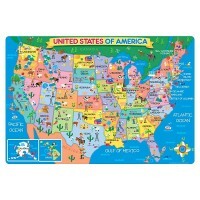 Five year old loves to complete it so he can study the picture. 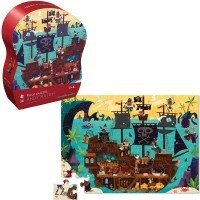 Rating: 5 by Carol, FL My grandson loves pirates and making puzzles so he really got a kick out of this oversized puzzle.